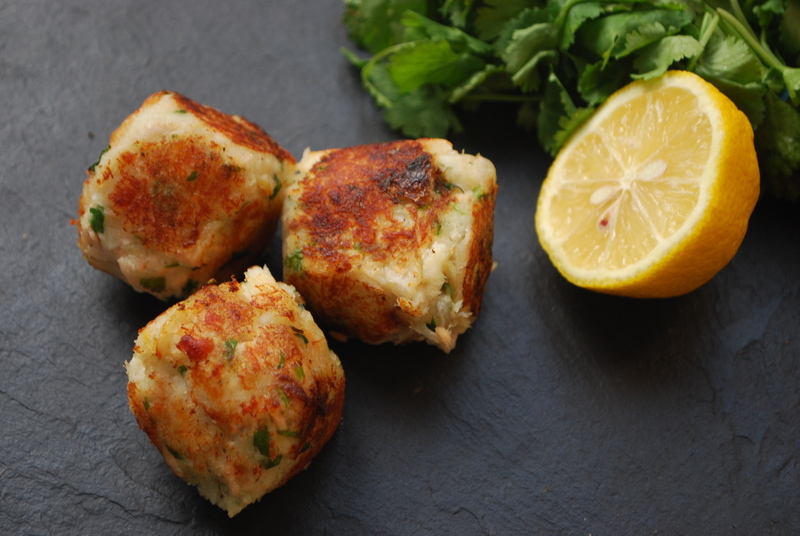 This is a simple, quick yet elegant dish. 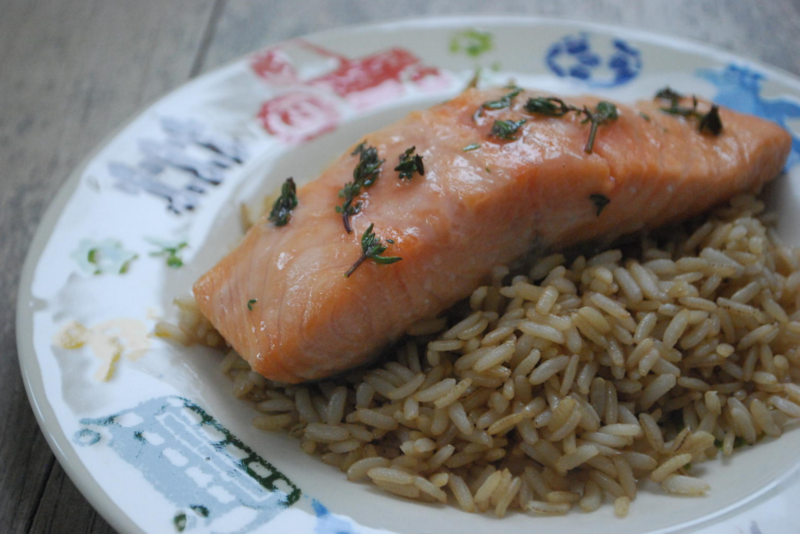 The salmon works perfectly with the sweet honey and fragrant thyme, and it works well as a boost for respiratory health. 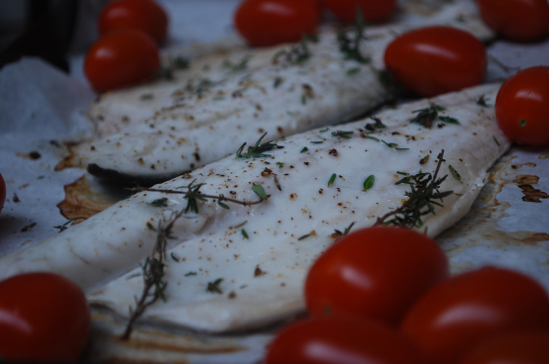 Oily fish contains anti-inflammatory omega 3 oils, and thyme has been used traditionally in herbal medicine for many years as an aid for coughs, colds and chestiness. Thyme is rich in vitamin C, and researchers have identified volatile oils in thyme that have useful antimicrobial properties too. Honey is one of our favourite antibacterial ingredients, and it has lovely soothing properties. They combine so well in this dish and taste delicious. 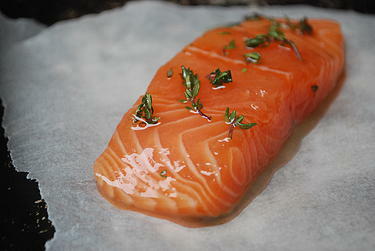 Place the salmon in a bowl and drizzle over the honey, lemon juice and thyme. Massage together and leave to marinade for a couple of hours, or overnight. 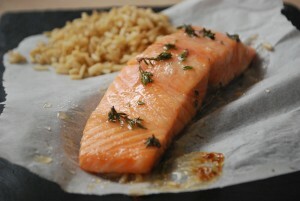 Place the salmon on a baking tray lined with non-stick baking parchment and bake for 10 minutes, or until the fish is cooked through. 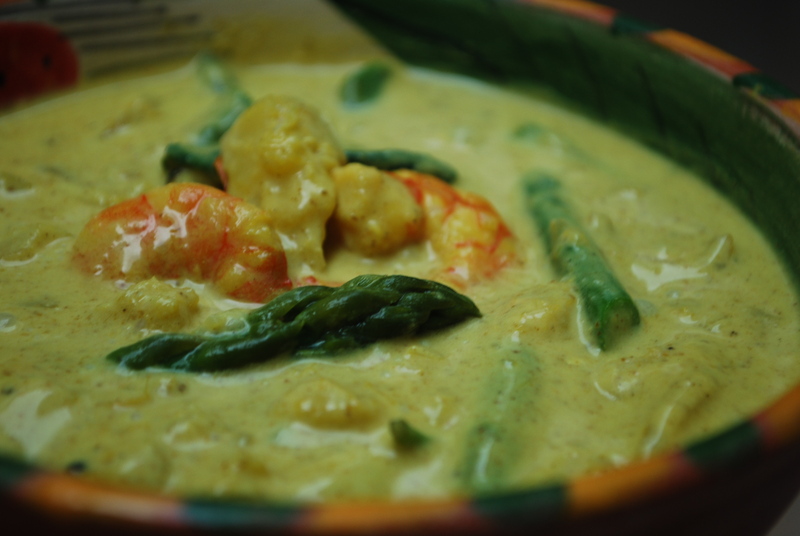 Serve with brown rice and some delicious green veg.